81% of Australian marketers say their organisations use content marketing, compared to 89% last year. ‘Content Marketing in Australia 2016’ was released by the Content Marketing Institute (CMI) this week, the study tracking the content marketing strategies, effectiveness and aims of Australian marketers. The fourth annual study from CMI is released shortly after the announcement that their annual March event in Australia – the Content Marketing World Forum in Sydney, would not run next year – prompted debate about the longevity and necessity of the content marketing trend. Despite the overall decline, an increase in total marketing budget spend on content marketing from 27% last year to 30% is one of many statistics which perhaps points to content marketing’s growth in perceived importance by marketing professionals. 58% in the study expect their marketing budget spend to increase in the next 12 months, and 31% expect it to remain the same, with only 1% believing it will decrease, and 9% unsure. Creating engaging content still seems to be the biggest challenge, with 69% in the report listing it as the top challenge. 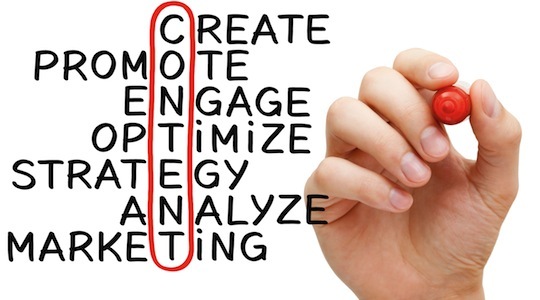 84% list creating more engaging content as the top priority for the year ahead. Social media remains the most popular platform for content marketing material, with 92% of organisations using it – a 6% increase on last year. Following this, the most popularly used platforms are website articles, photos, enewsletters and videos. 70% in the study listed in-person events as the most effective tactic, closely followed by social media. Four emerging strategies that did not appear in last year’s top ten most effective tactics were webinars, books, eBooks and illustrations. LinkedIn emerged as the most popular and the most effective social media platform, with 60% saying it is effective, followed by Twitter (53%), YouTube (50%), Facebook (48%) and Instagram (45%). As far as paid advertising is concerned, search engine marketing was listed as the most popular and most effective tactic for distributing content, as 69% of marketers report using it and 70% listing it as effective. After search engine marketing, 61% listed promoted posts as effective, followed by social media ads (56%), print and offline (39%), native advertising (37%) and traditional online banners (34%). Joe Pulizzi, founding member of the Content Marketing Institute says his main criticism of the majority of Australian content marketing approaches is that they don’t include subscription options, saying they “are creating a number of pieces of seemingly valuable content, they are not working to build an audience from the content”. “This could be a huge issue,” he says.